Cheshunt and District Table Tennis League is based in Hertfordshire, England, just outside London. 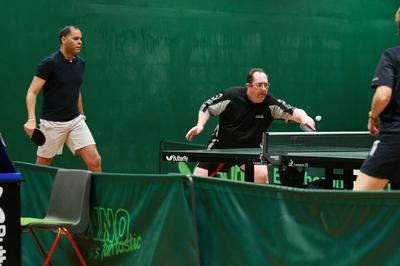 The league is affiliated to The English Table Tennis Association and the Hertfordshire County Table Tennis Association. Some of the Clubs in the league have facilities which are open every day for visitors and League/Cup matches. Clubs are based in Enfield, Northaw Village, Cheshunt, Waltham Abbey, Hoddesdon and Broxbourne. Individual membership fees vary depending on the Club, but are generally from about £90 - £120 for a year. Clubs wishing to affiliate to the League need to submit a completed application form and full payment of fees (Approx. £40 per team) to the Honorary Secretary, not later than 31st July. The fees include entry into the Divisional Knockout Competition, Handicap Cup Competition, and the appropriate affiliation fee payable to the Hertfordshire Table Tennis Association. A player can not be registered for the League unless they have paid the ETTA Player Member affiliation fee to the League or can provide evidence that they have already paid that fee. Each player registered receives a copy of the League Handbook. The clubs have from 1 - 8 tables. Playing conditions vary from Club to Club, but are generally quite good and some are excellent. There are about 110 players currently registered with the league. We operate a 3-a-side league; Divisional Cup and a Handicap Cup competition and an annual league closed Tournament. It is a very friendly league and new clubs and members are always welcome. The league was founded in 1947 and we currently have 17 teams playing in 2 Divisions. Some clubs offer coaching sessions, details are on the league website. Return to Your Table Tennis Clubs.